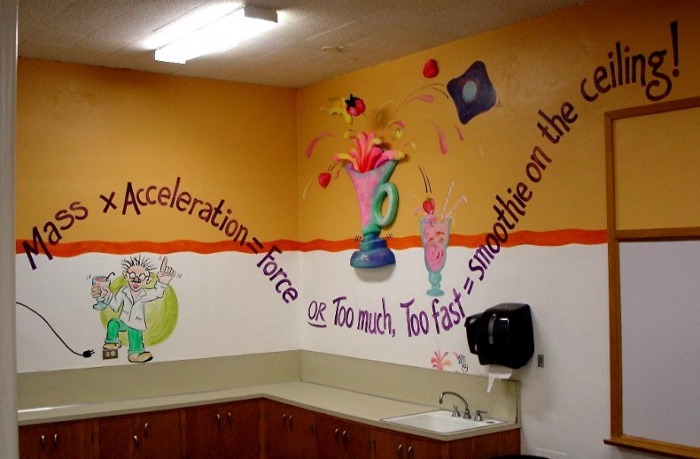 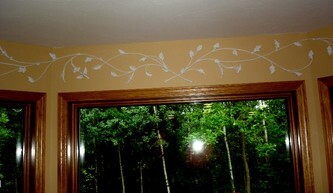 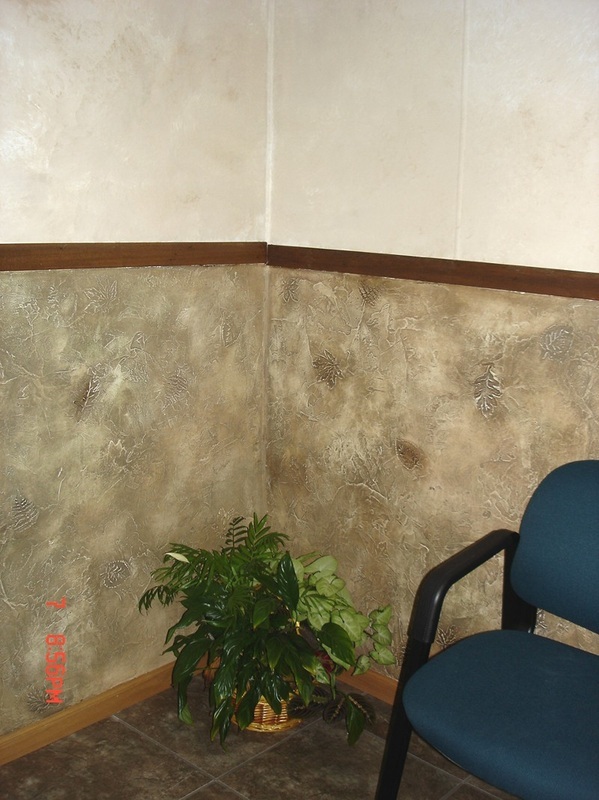 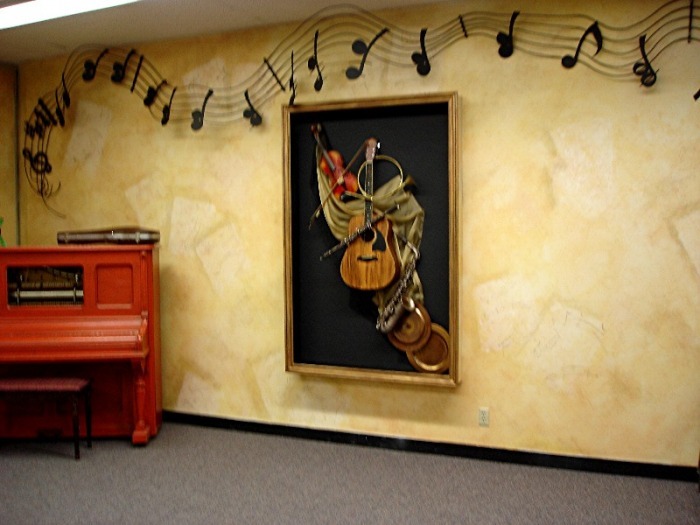 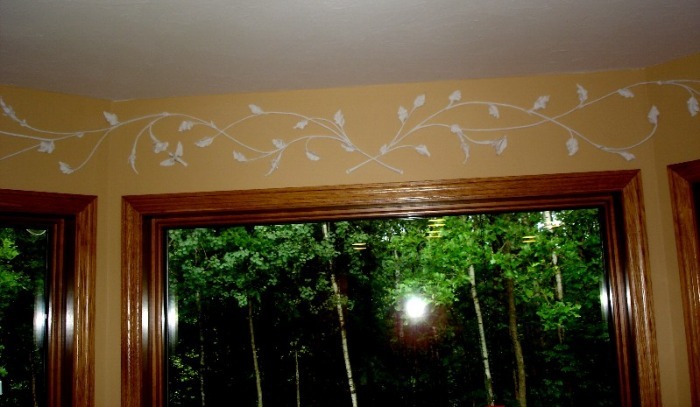 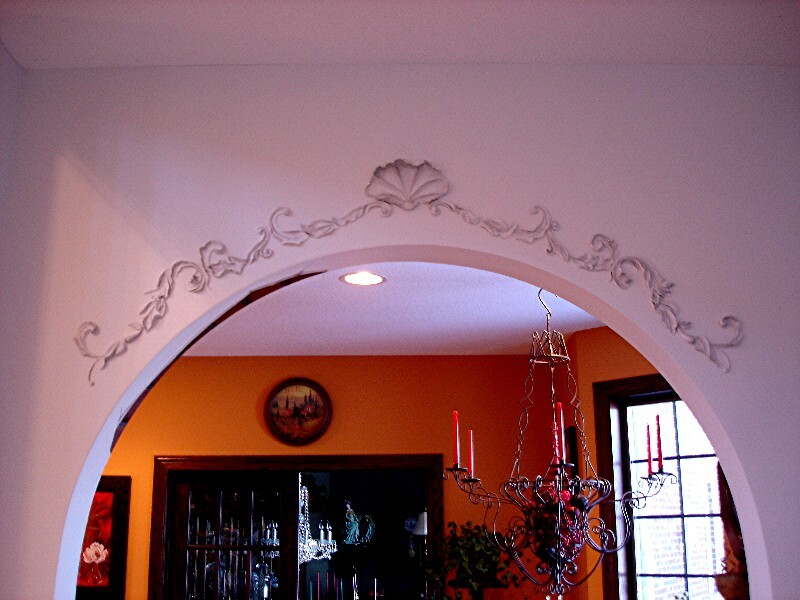 plaster adds amazing dimension to any style of space! 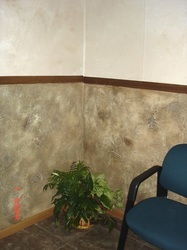 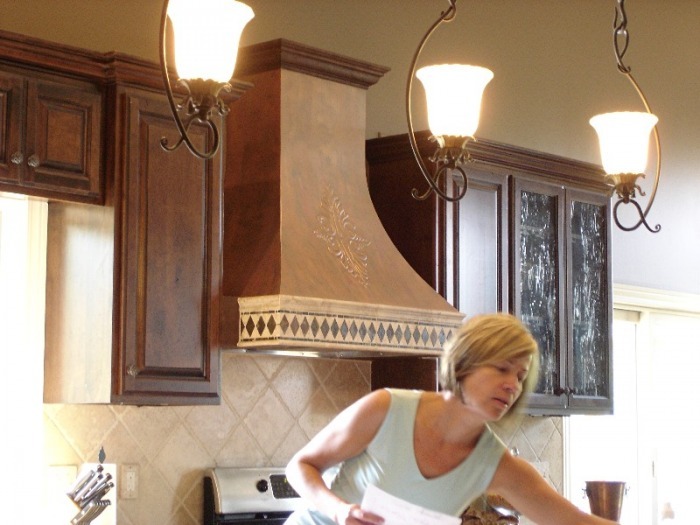 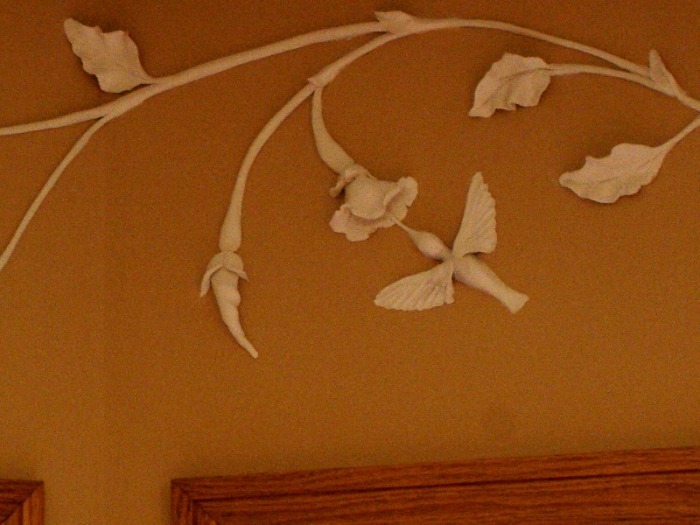 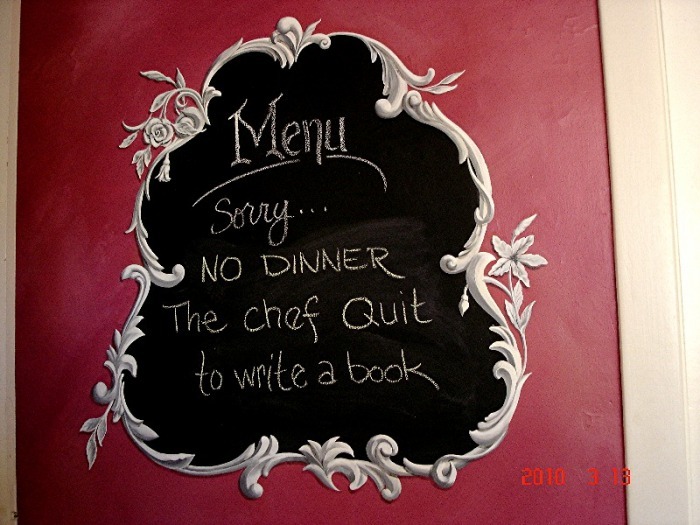 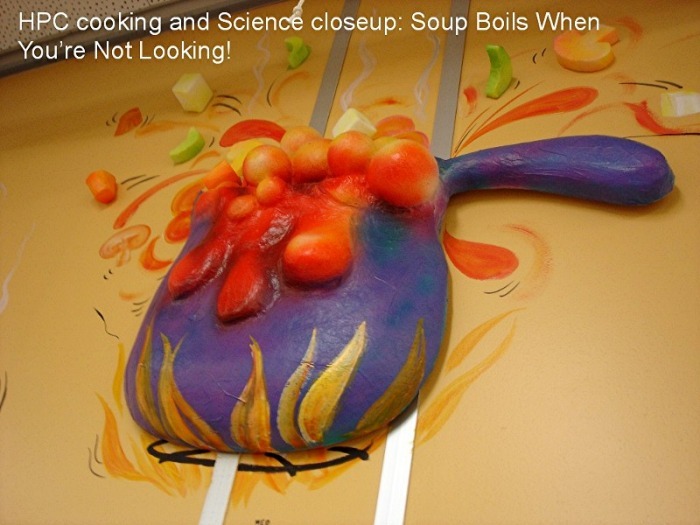 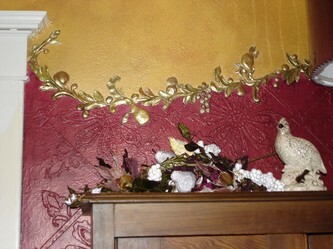 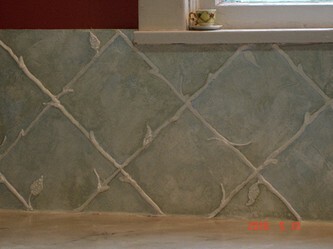 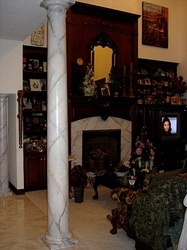 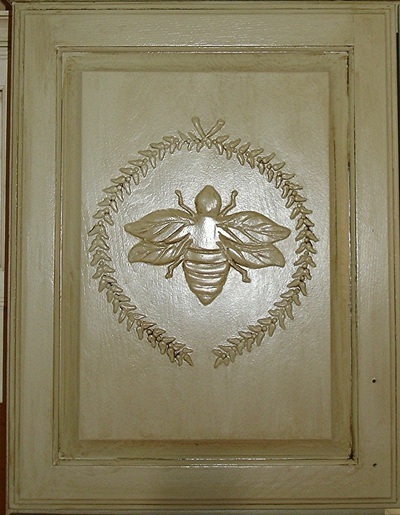 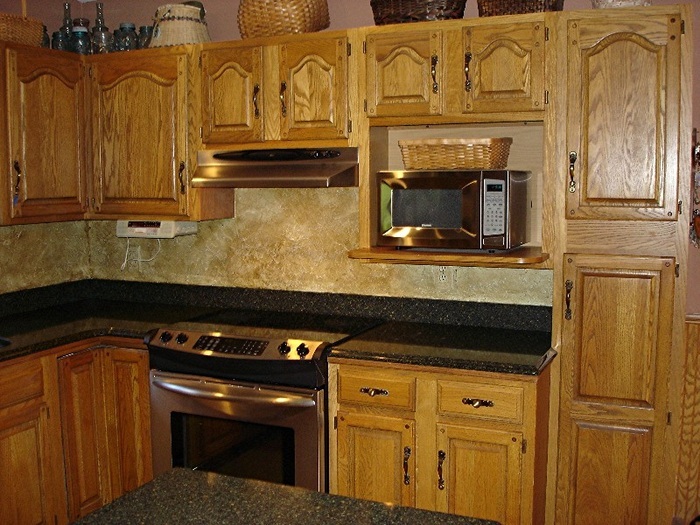 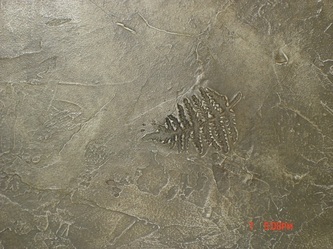 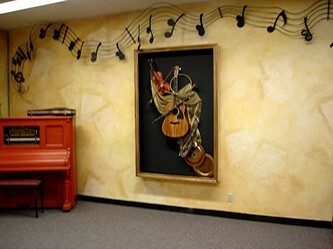 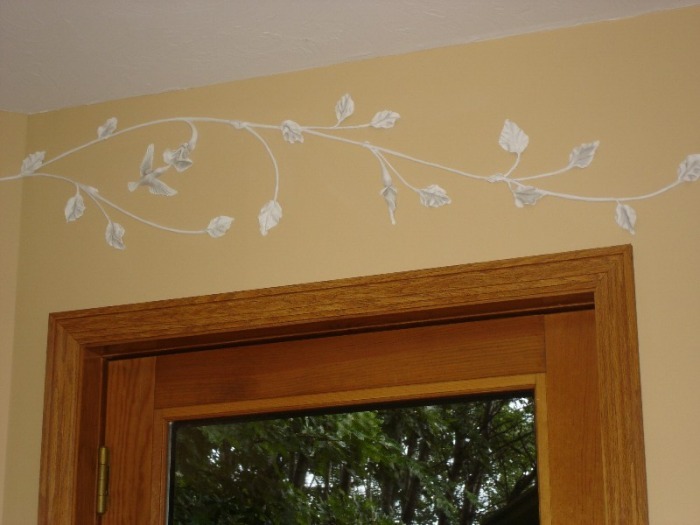 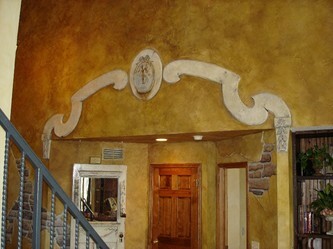 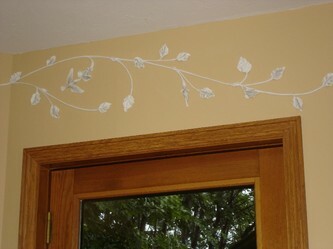 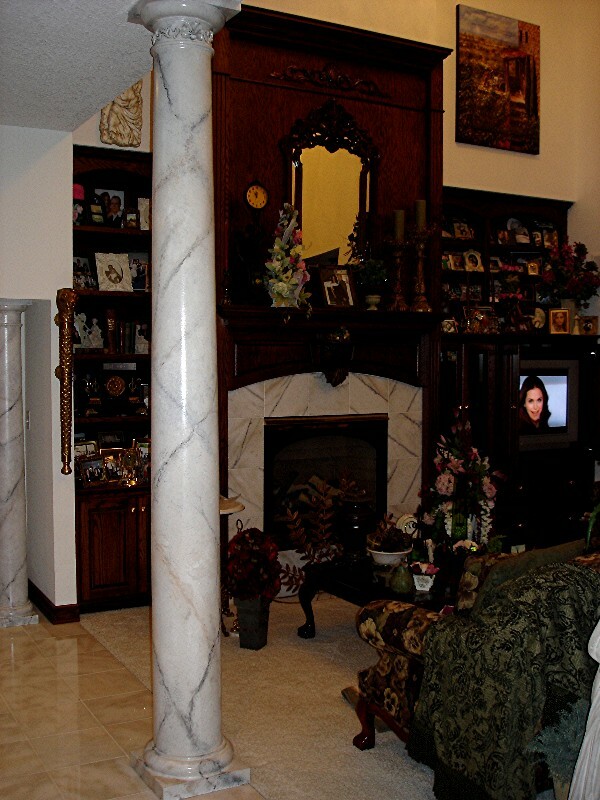 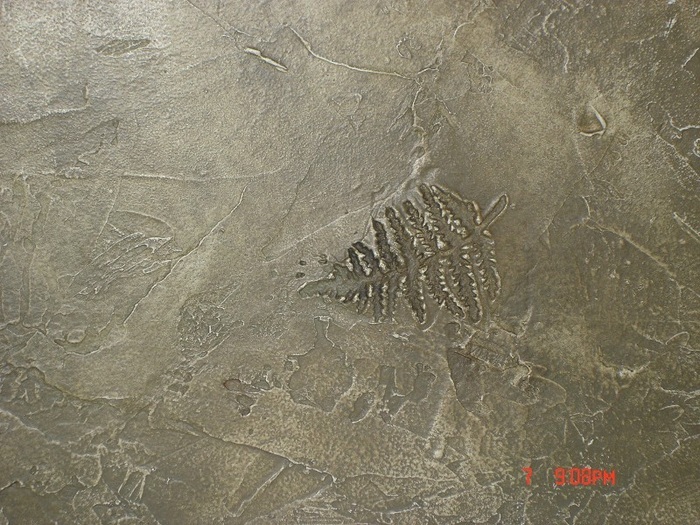 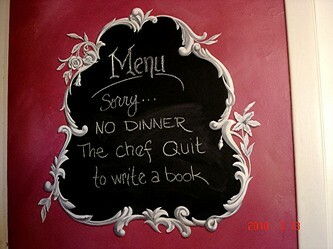 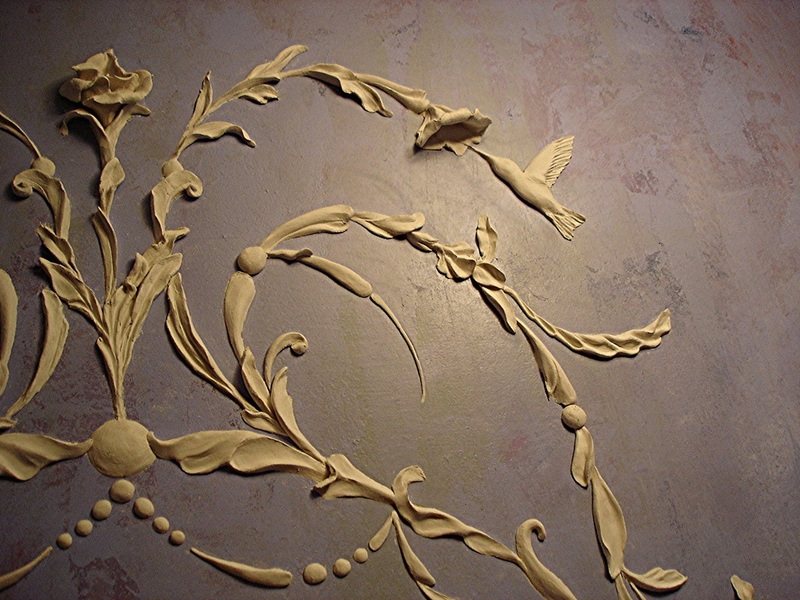 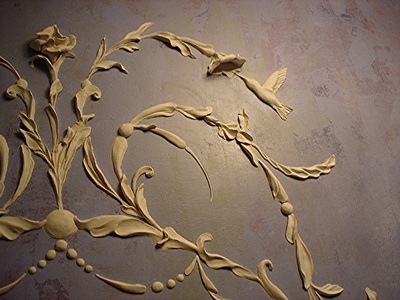 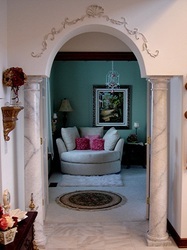 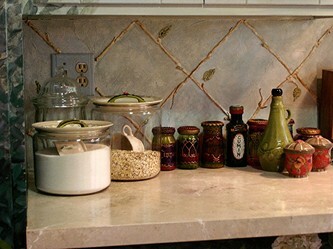 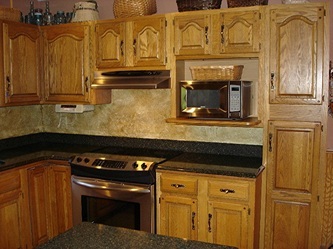 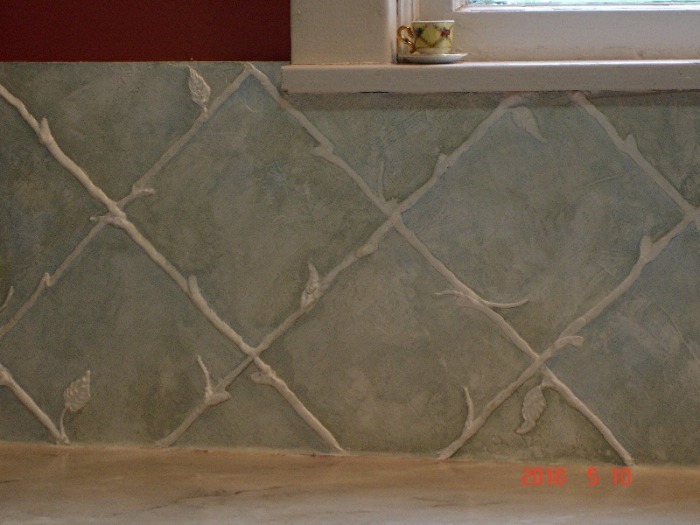 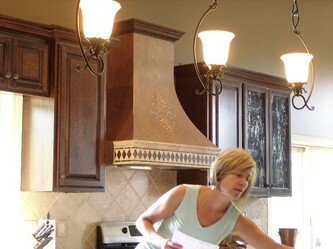 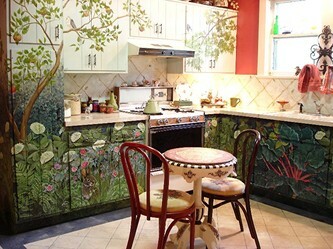 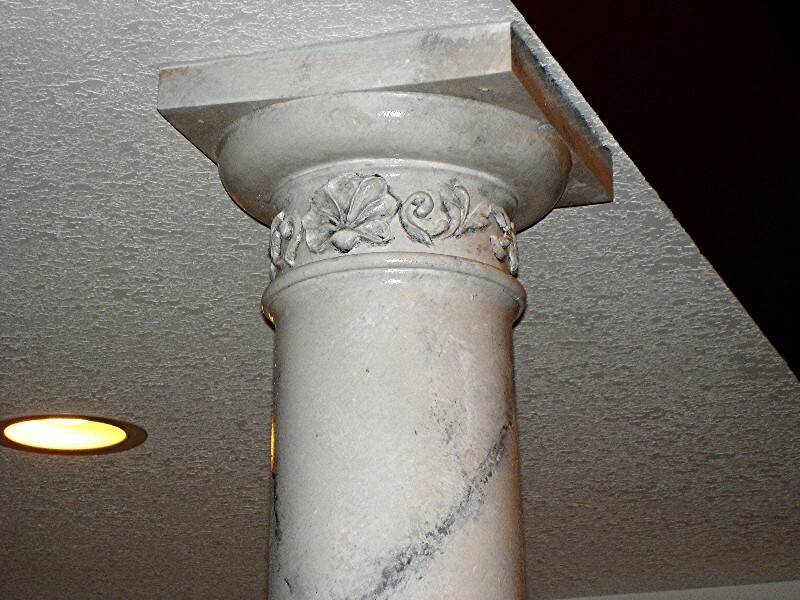 Hand sculpted plaster (Italian paper clay) can also be added to furniture and other objects for one of a kind details. 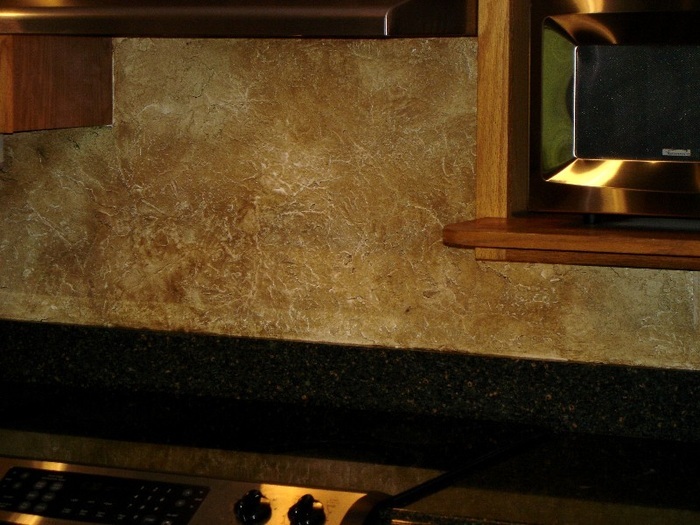 Tile isn't the only option for a textured backsplash, and real dimension isn't your only option if you love classic plaster. 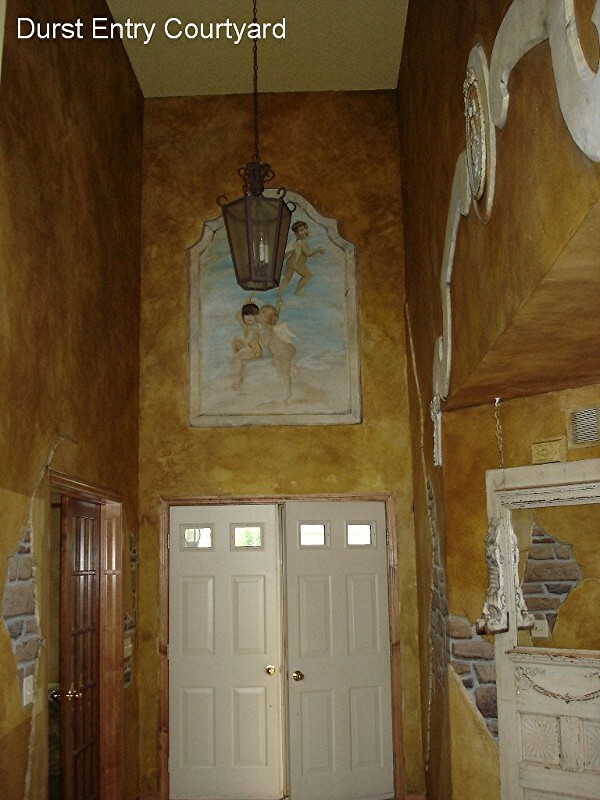 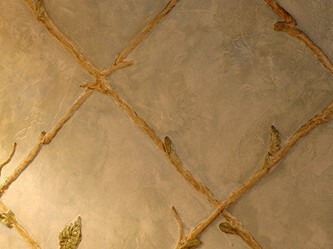 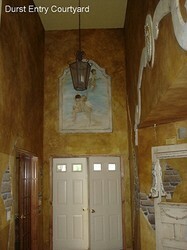 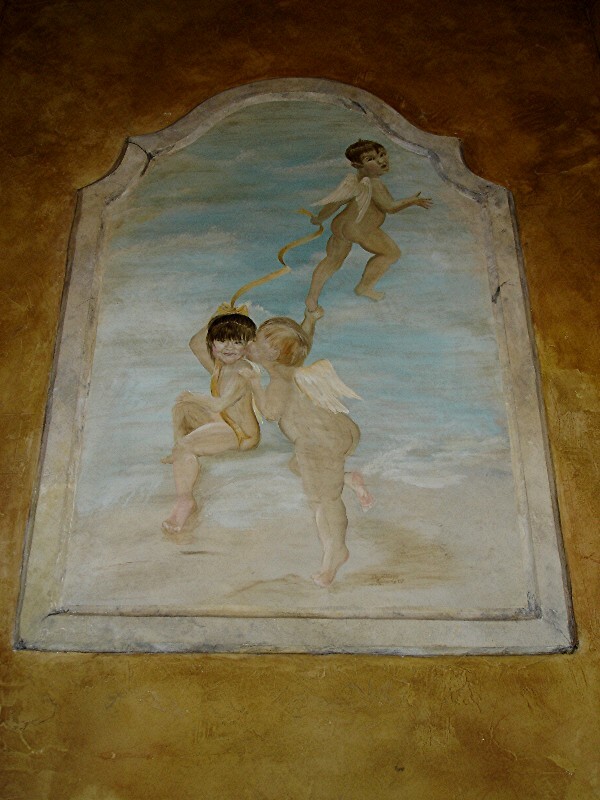 Layers of sheet rock were combined with troweled, stenciled , and hand sculpted plaster, to create this "French courtyard". 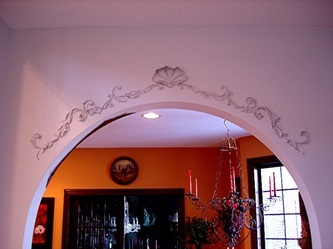 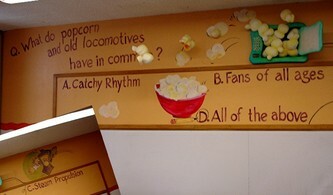 Sometimes these niches the builder's include are too small for the wall, or too stark for the art. 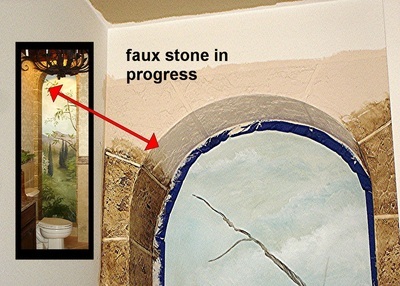 I can fix that. Your builder didn't include them? 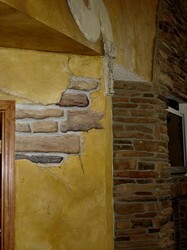 I've got a carpenter who can fix that. 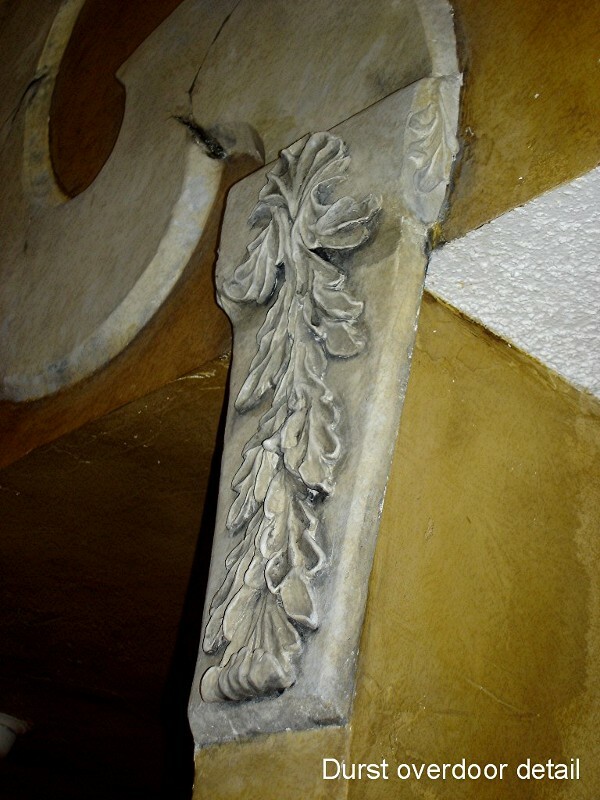 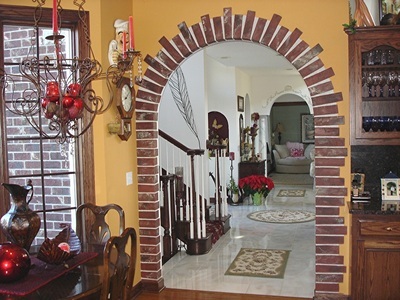 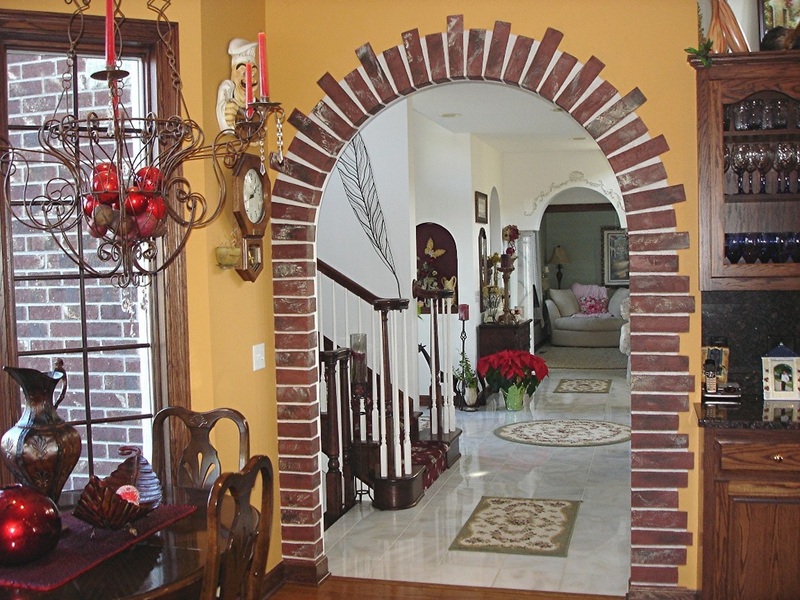 These scrolls on the columns and arches are sculpted to match carving on the mirror over the mantle, and in the adjoining room, troweled plaster bricks mimic the wall outside the kitchen window. 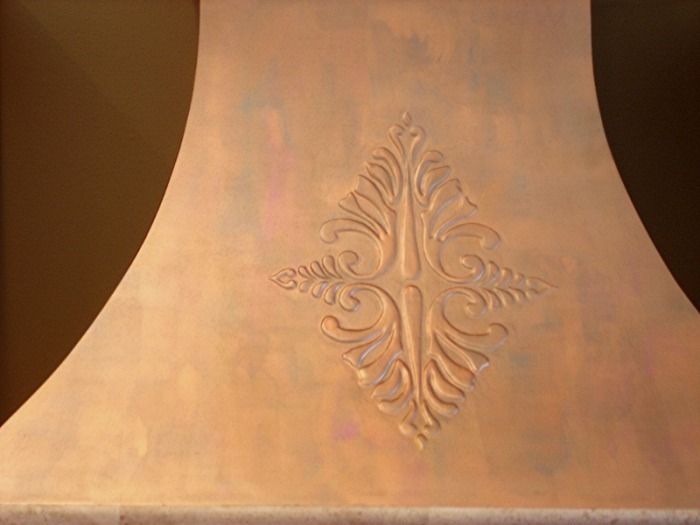 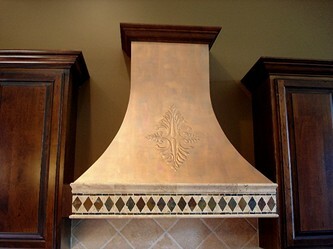 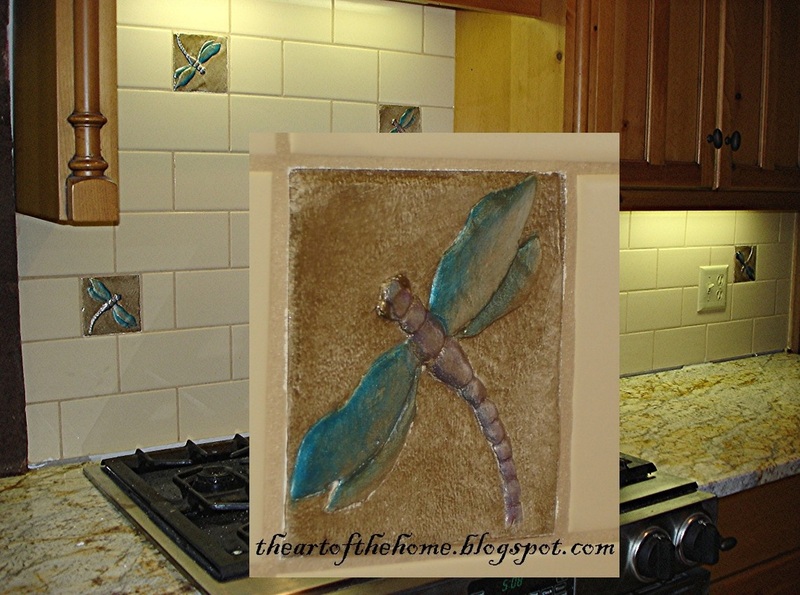 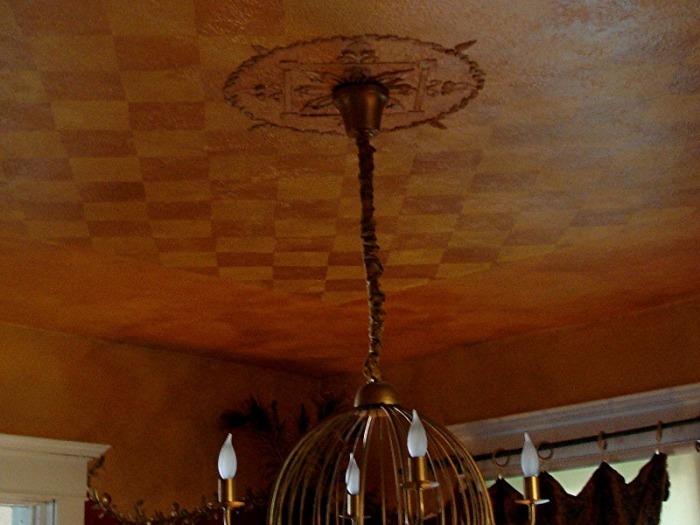 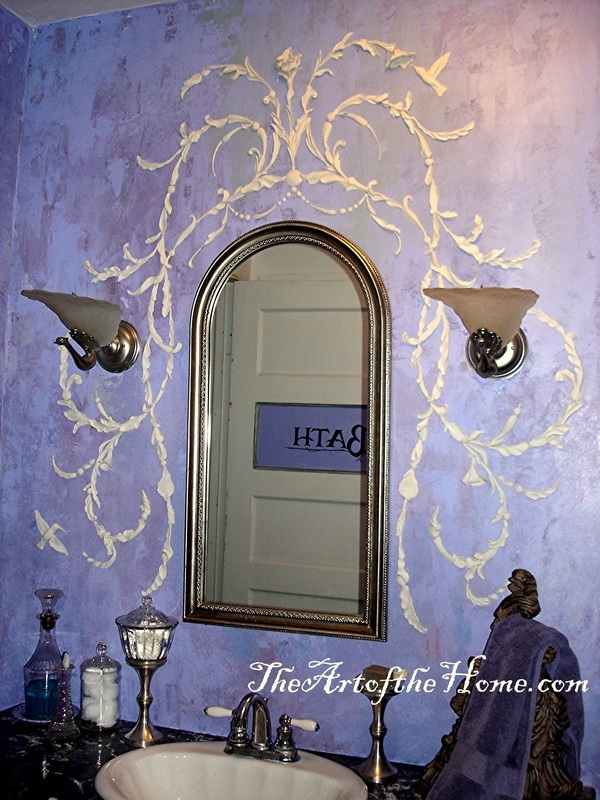 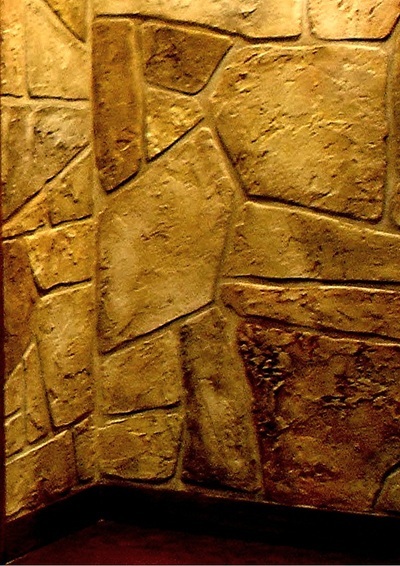 Is it copper, carved wood, tile...or is it just stenciled plaster? 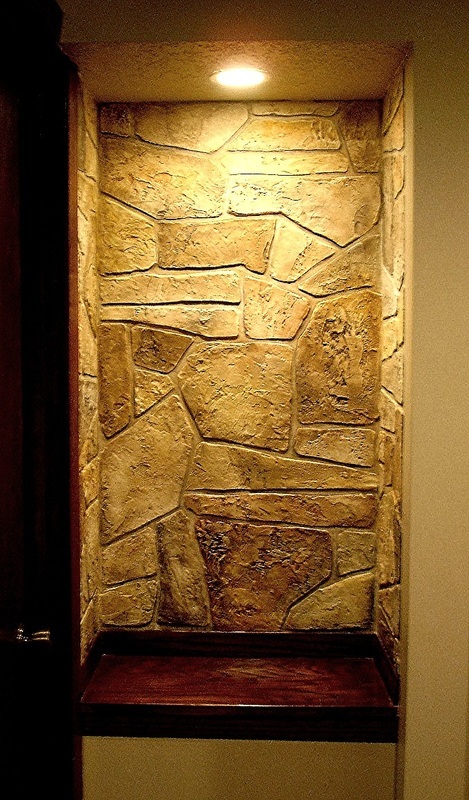 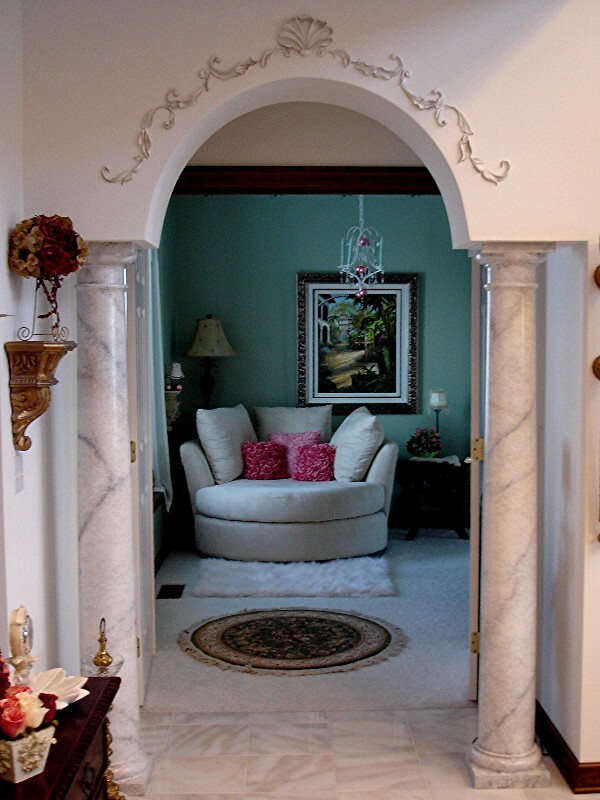 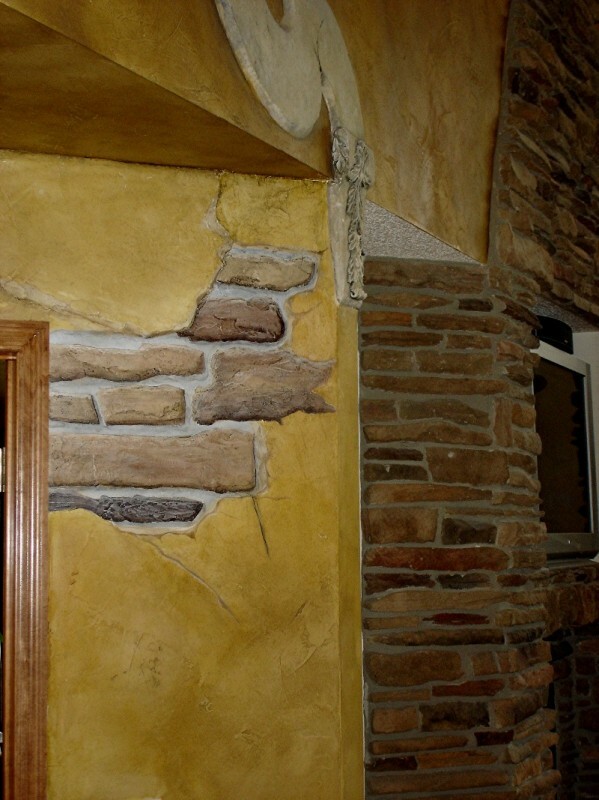 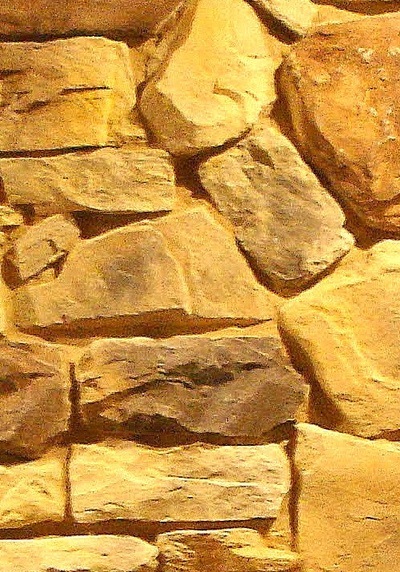 Faux plaster stone is a great way to create stone niches and door surrounds, where space for stone veneers doesn't exist. Ready for some new dimension in your life?